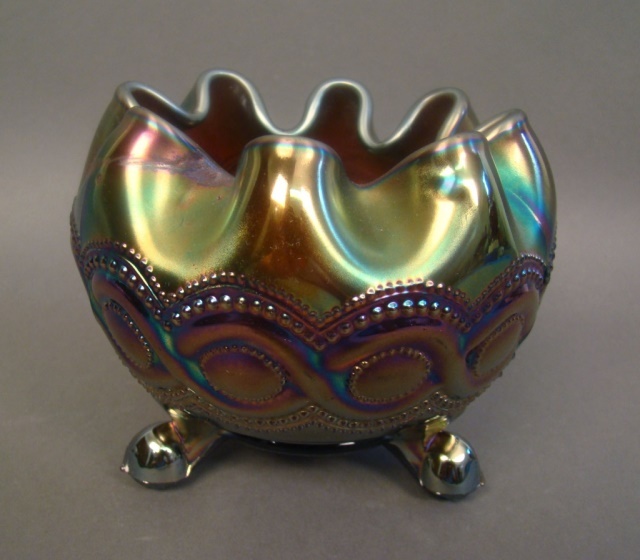 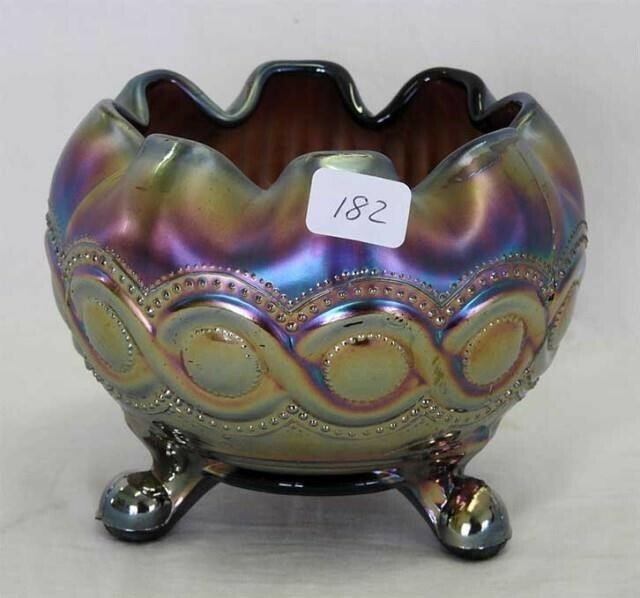 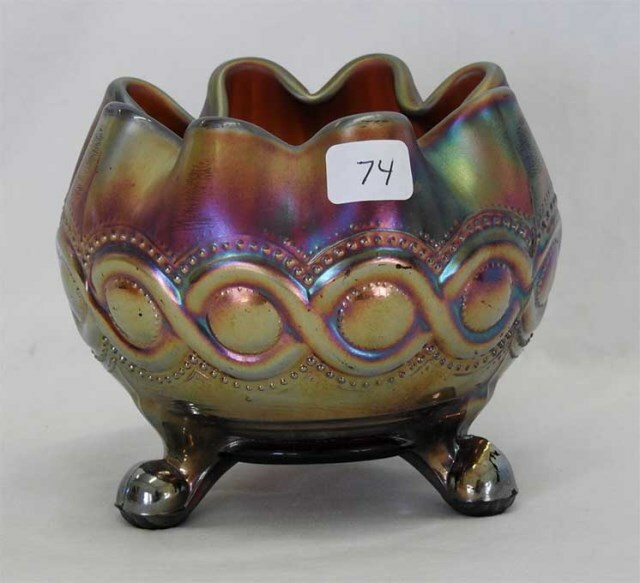 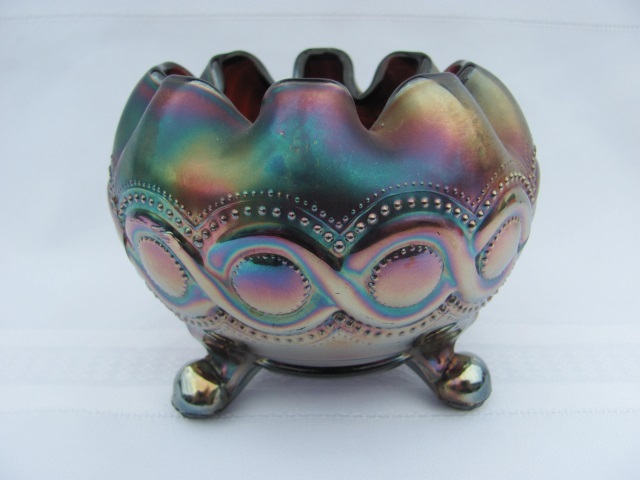 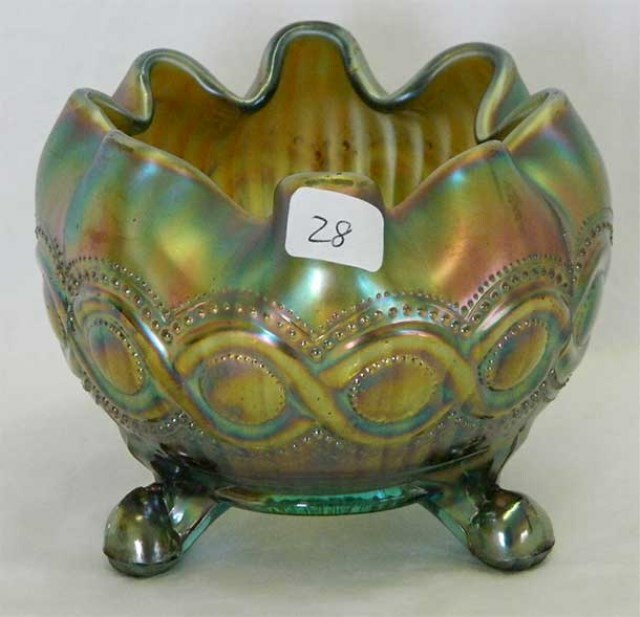 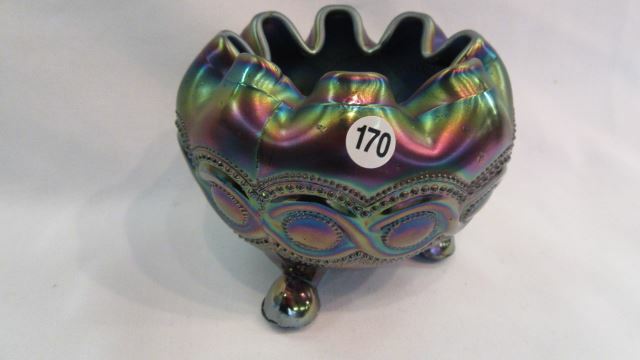 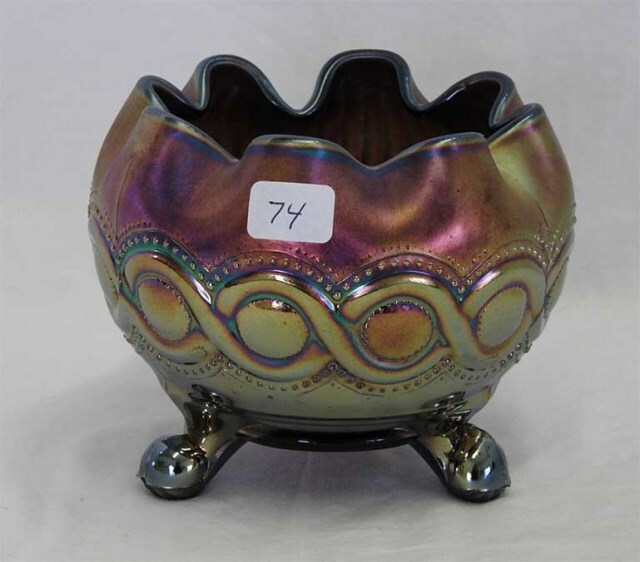 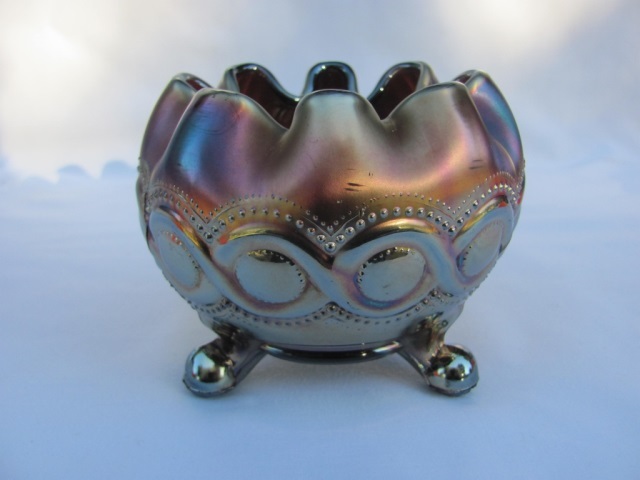 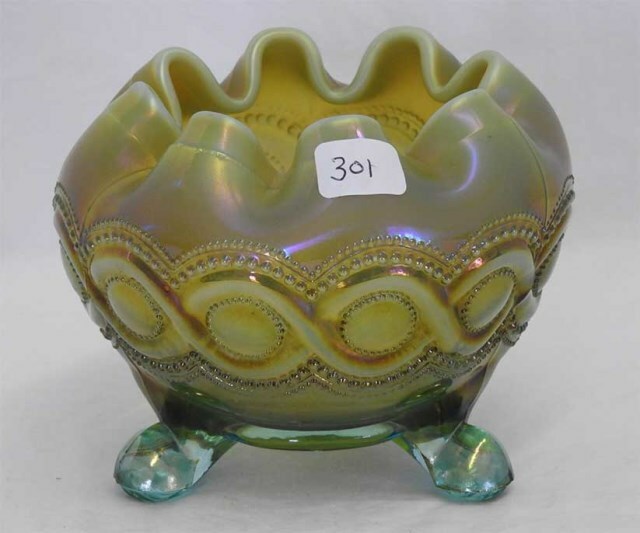 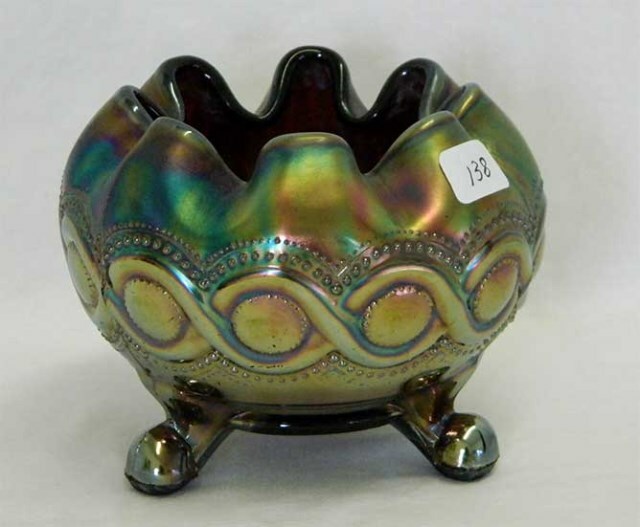 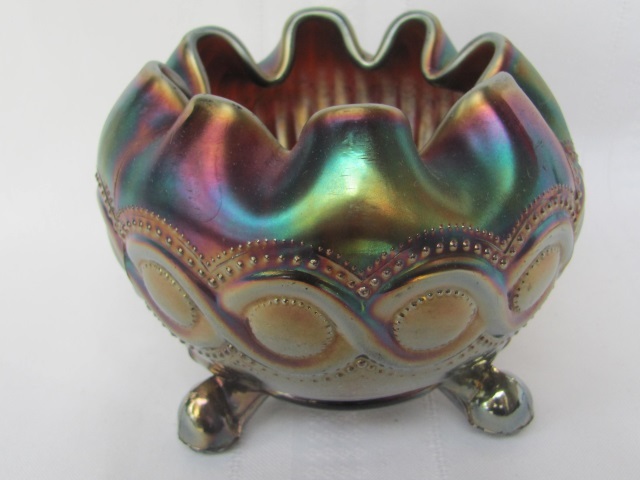 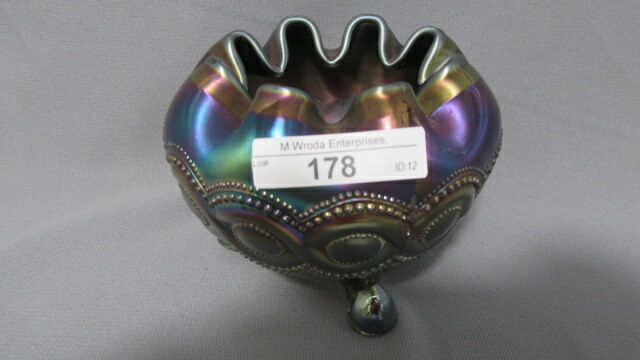 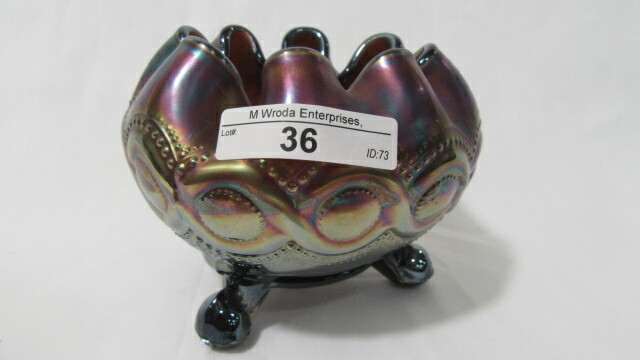 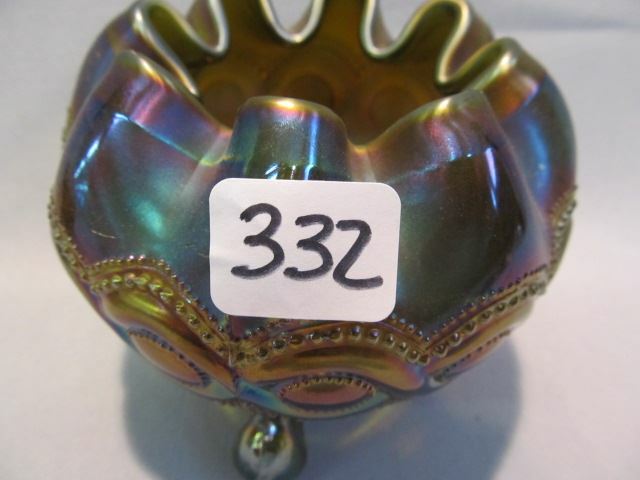 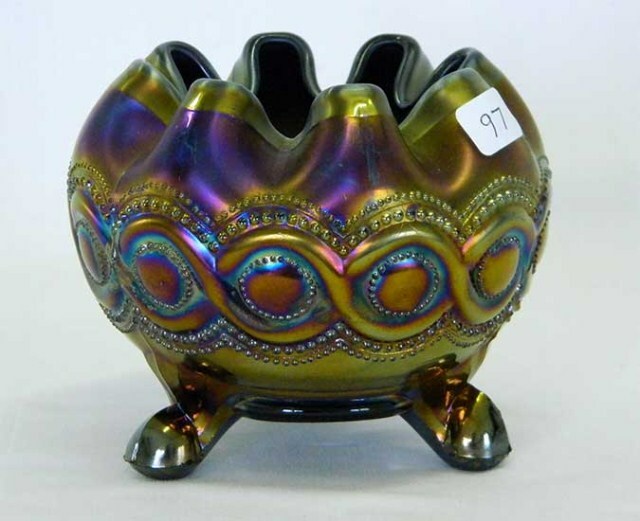 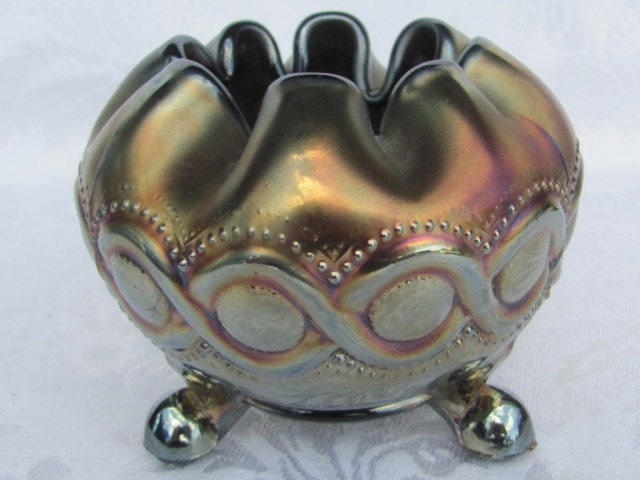 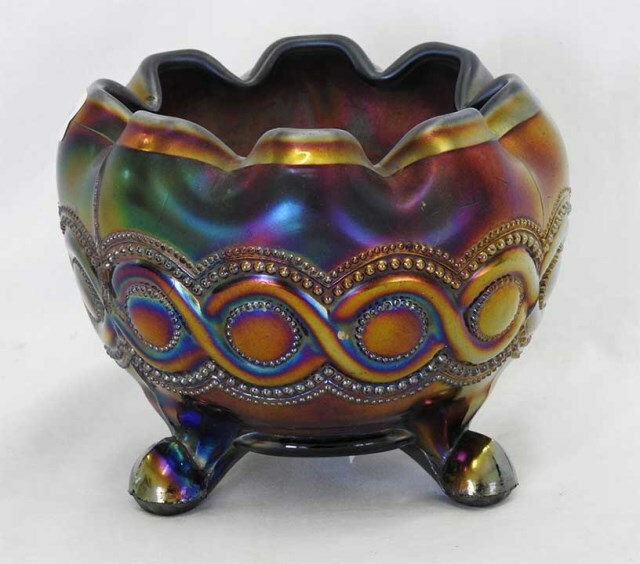 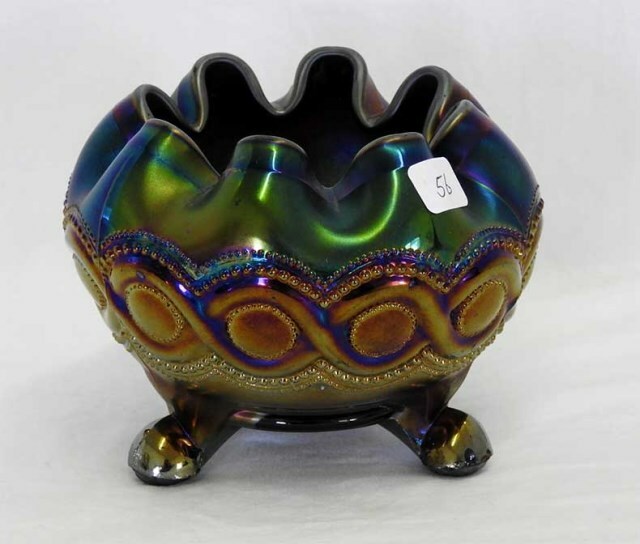 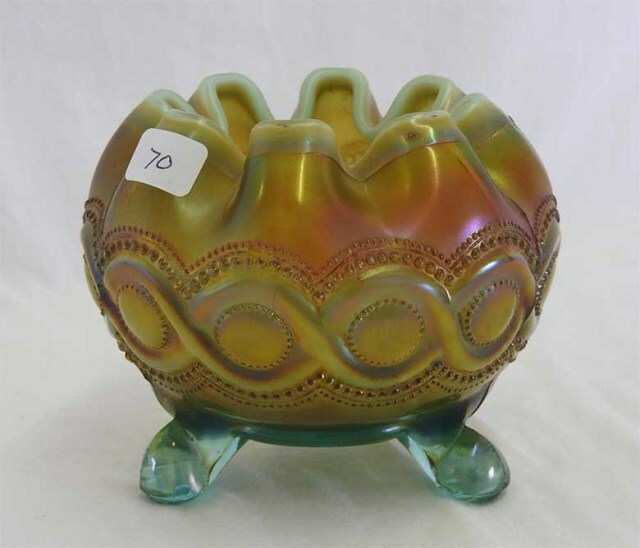 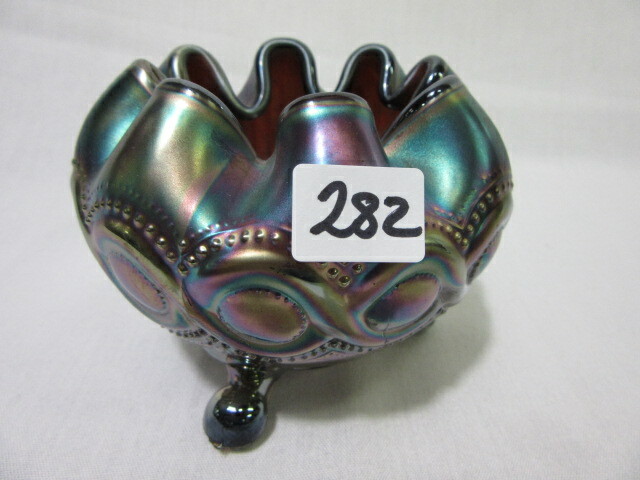 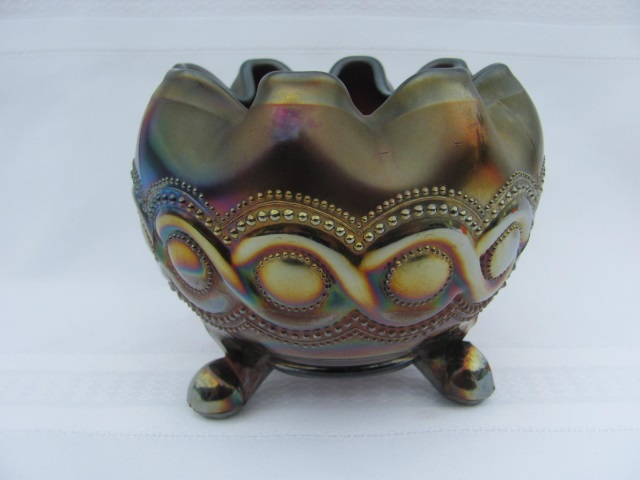 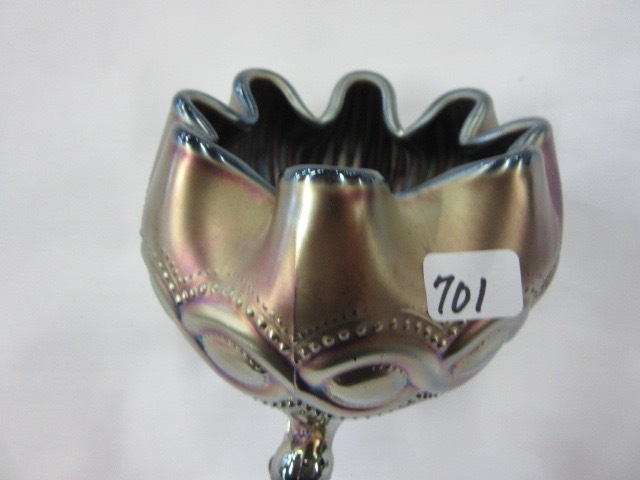 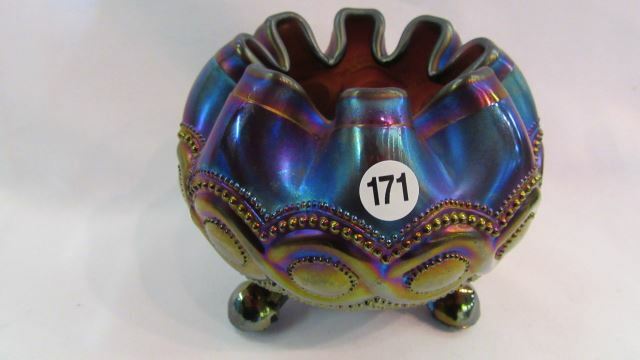 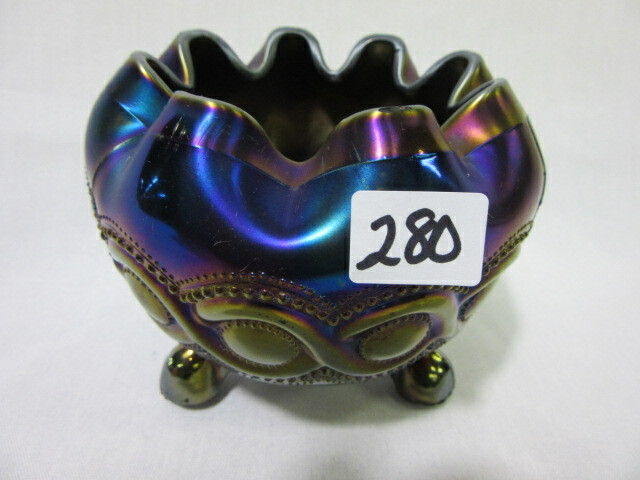 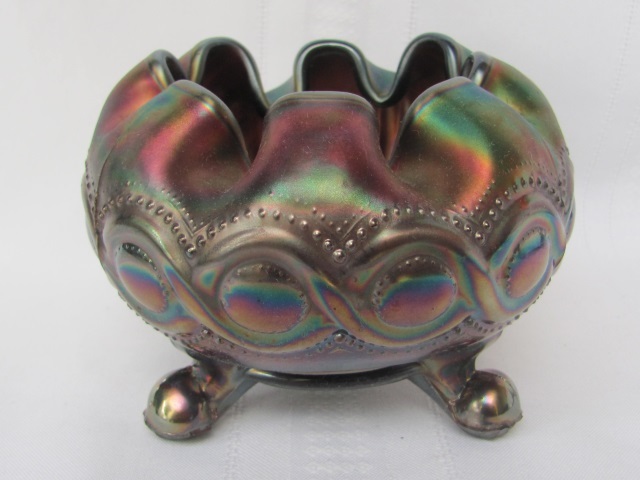 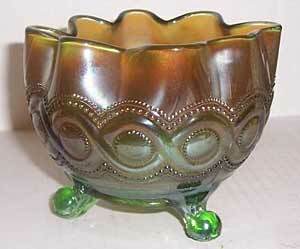 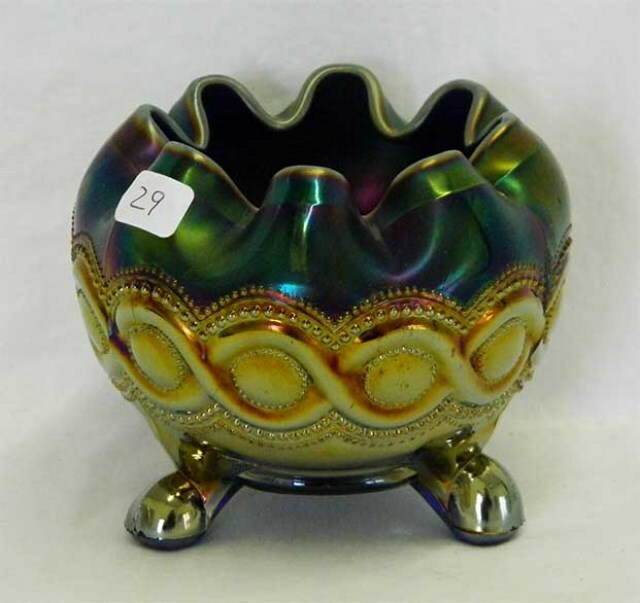 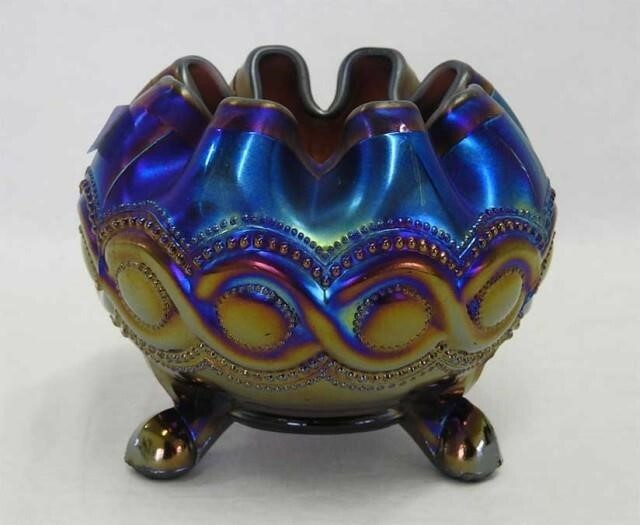 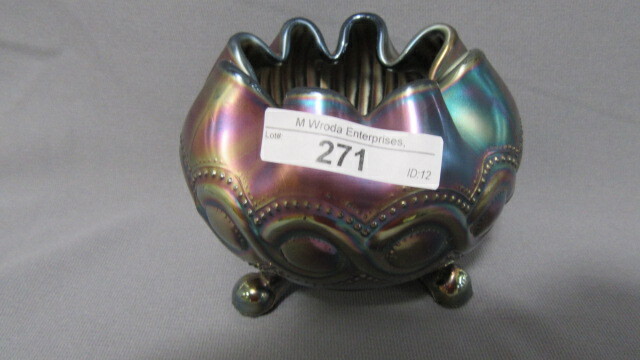 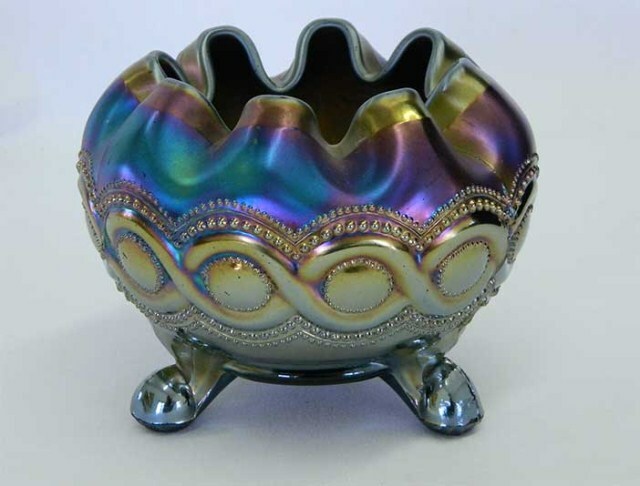 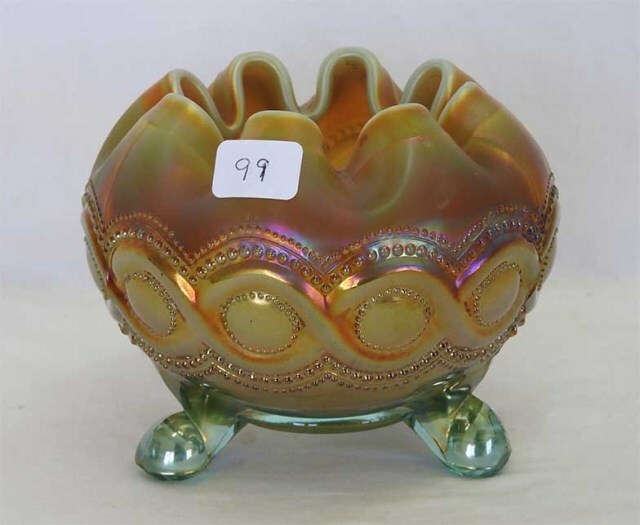 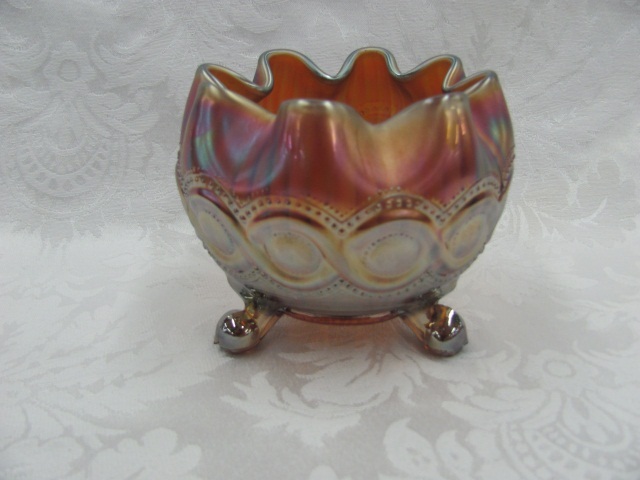 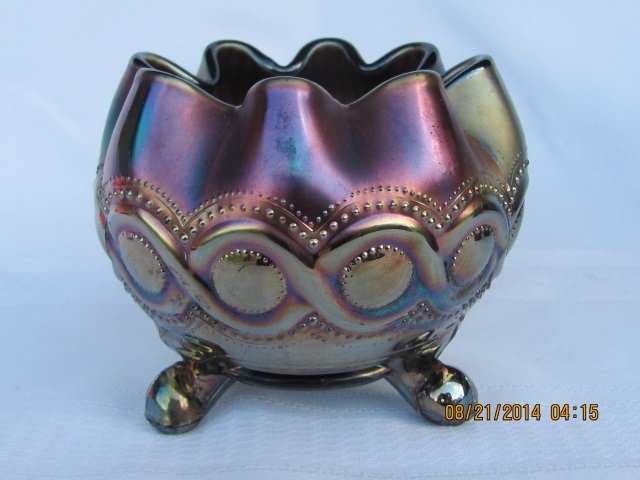 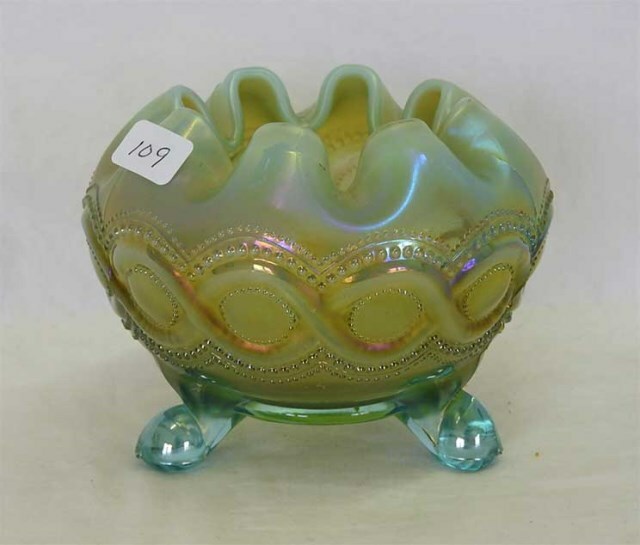 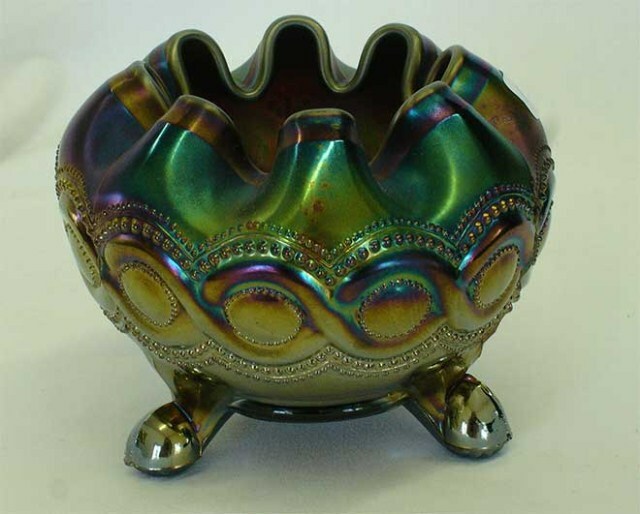 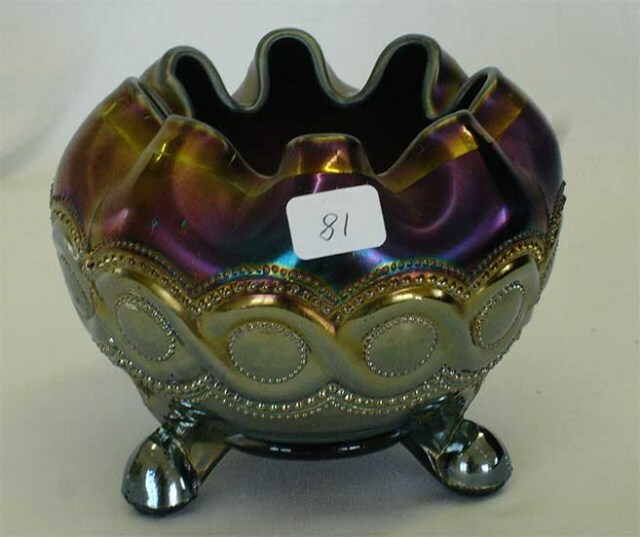 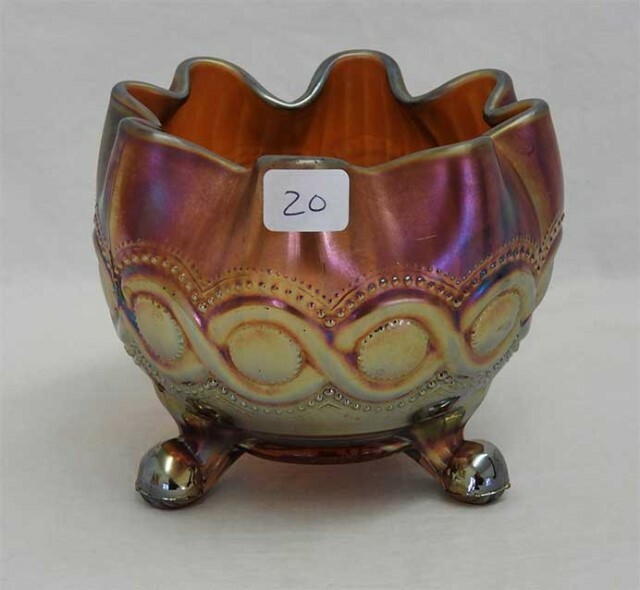 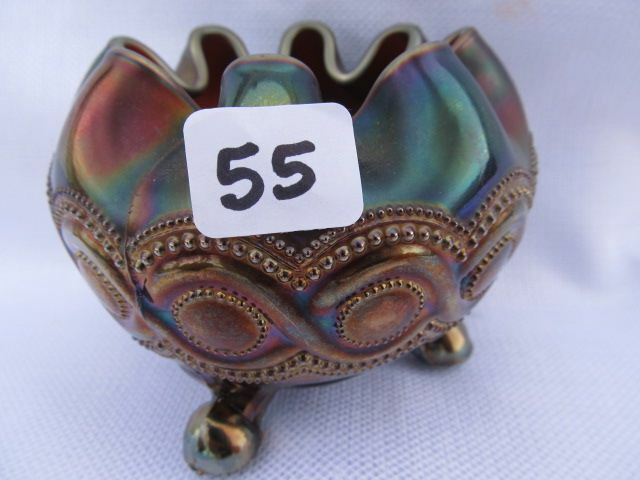 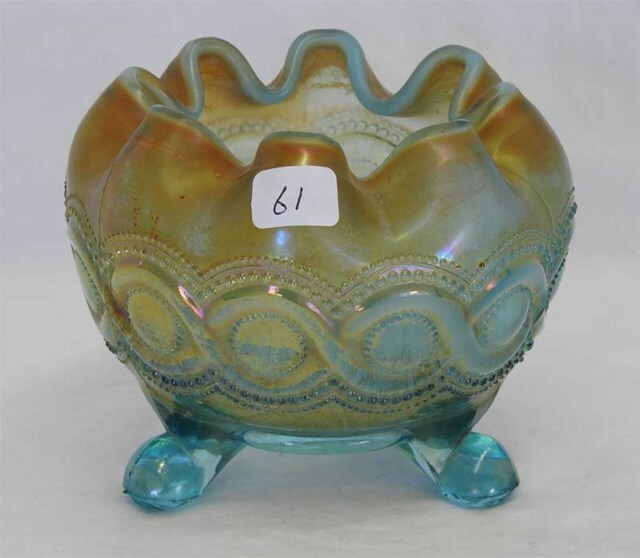 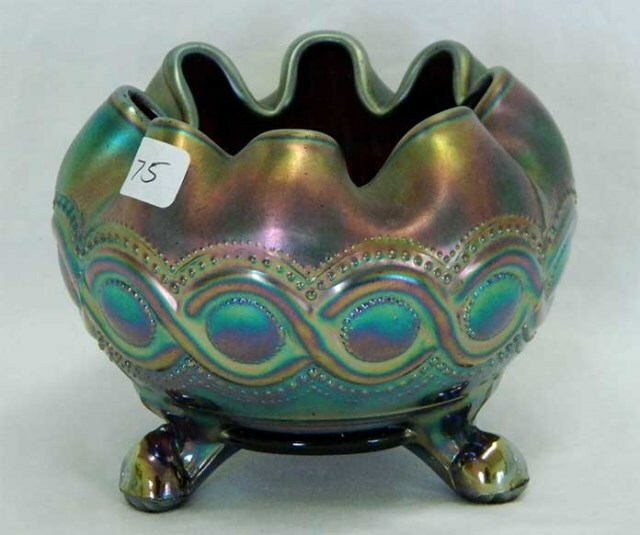 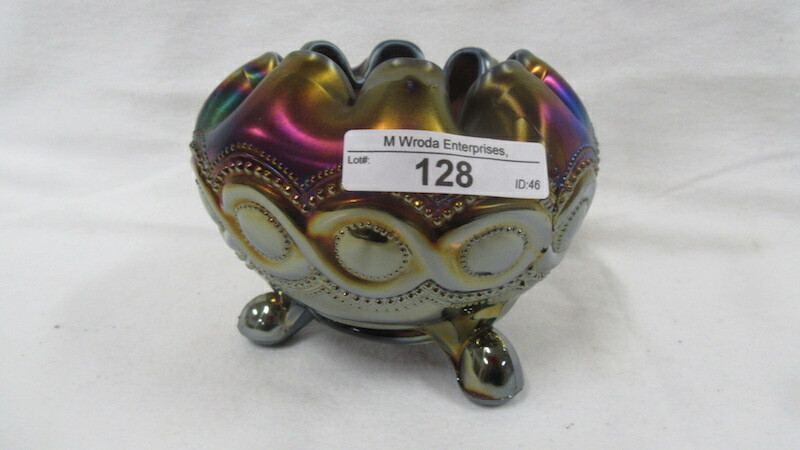 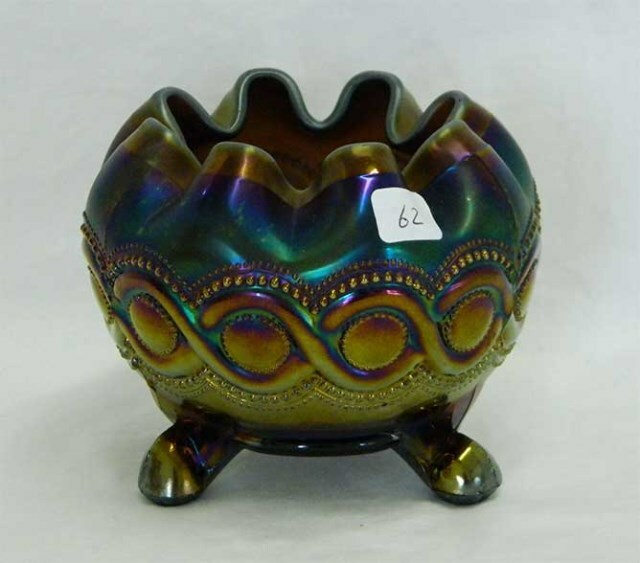 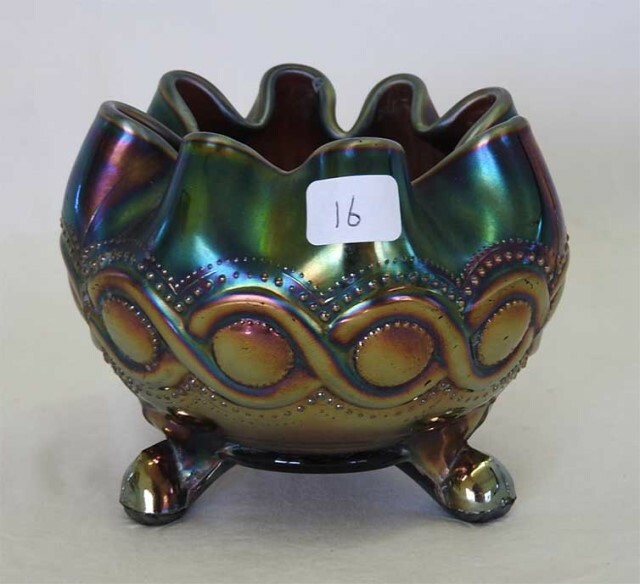 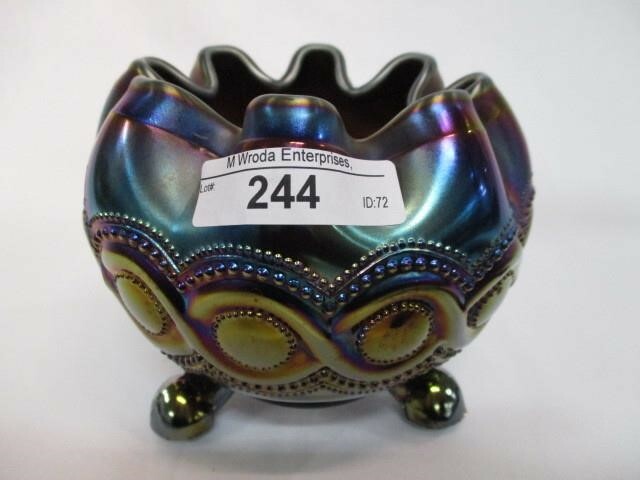 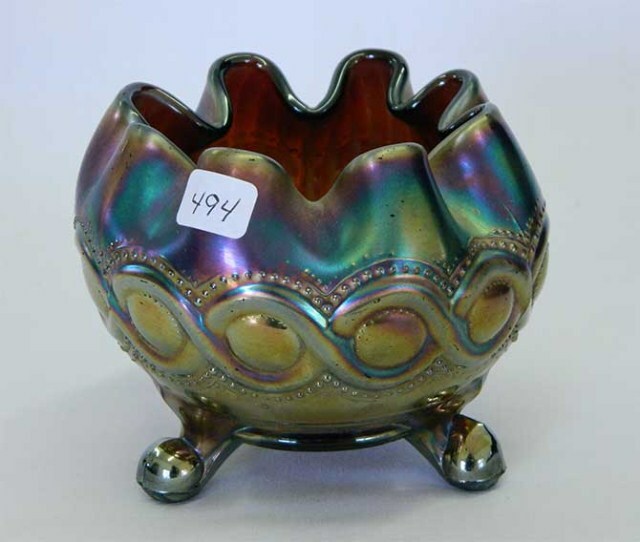 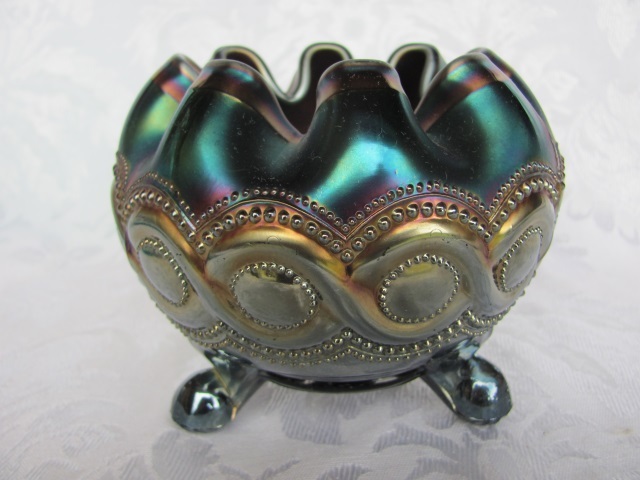 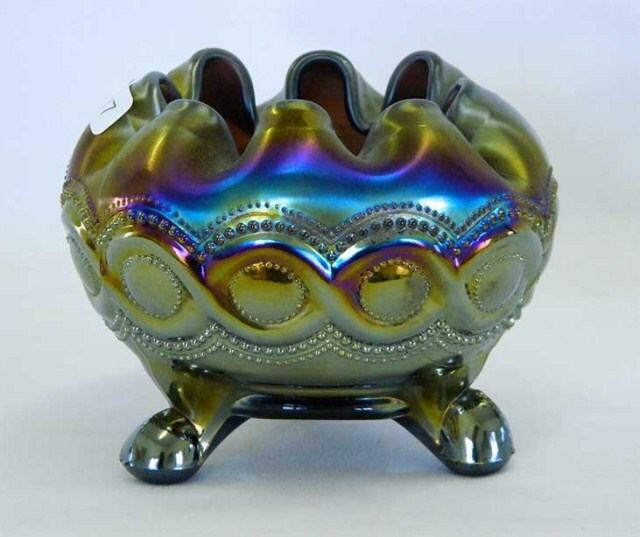 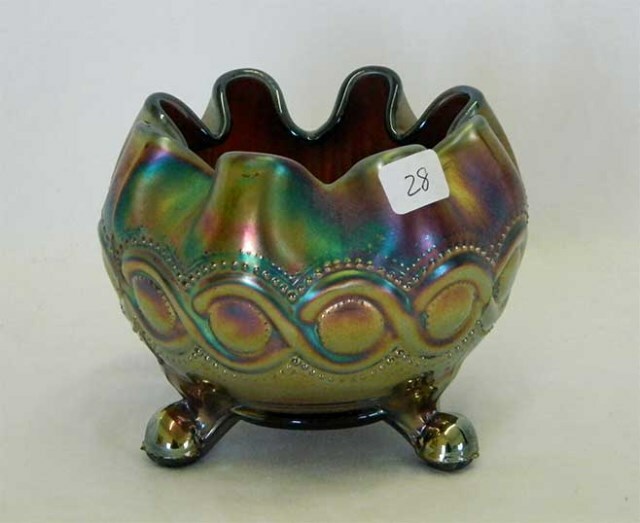 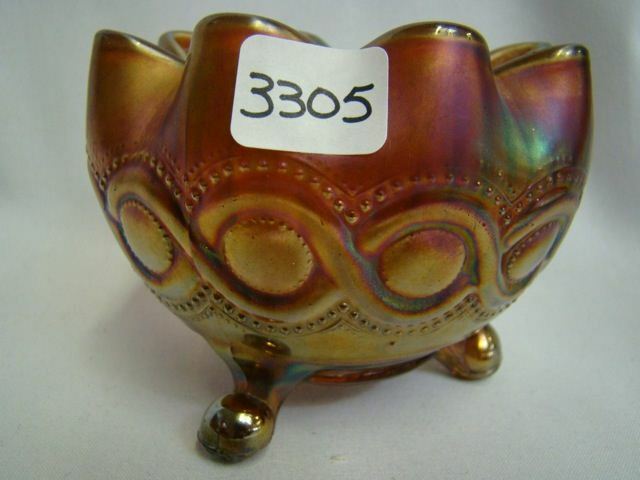 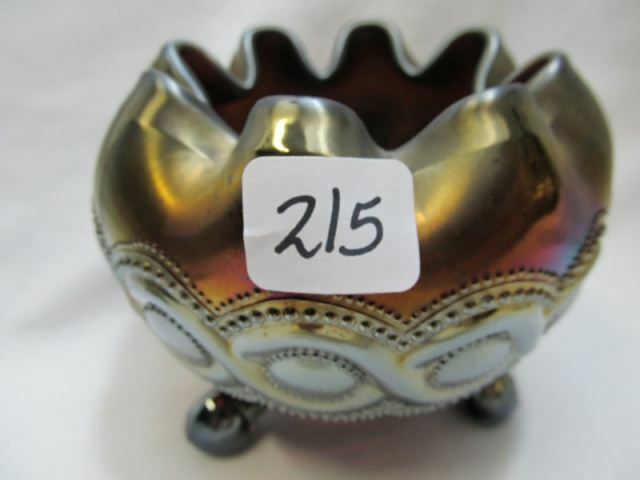 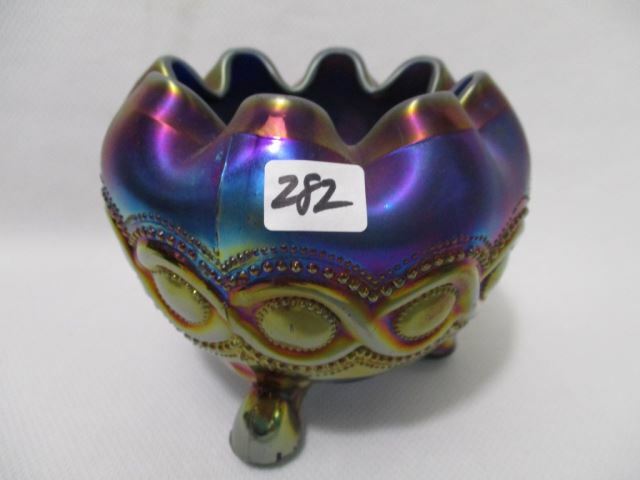 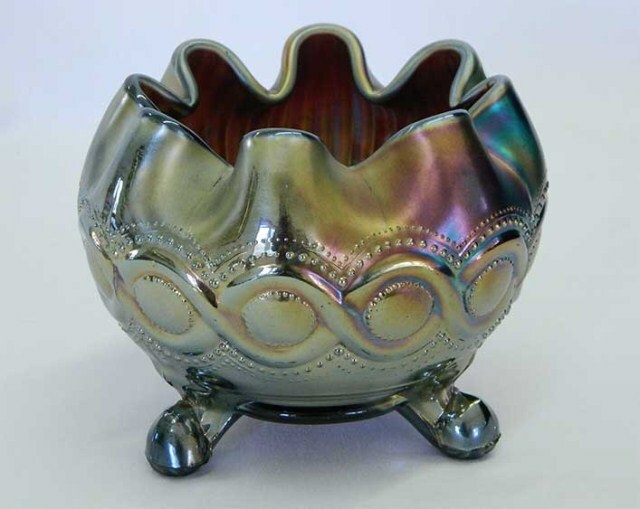 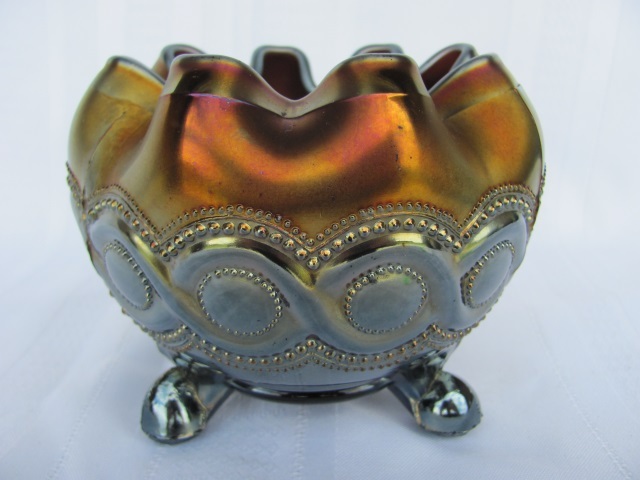 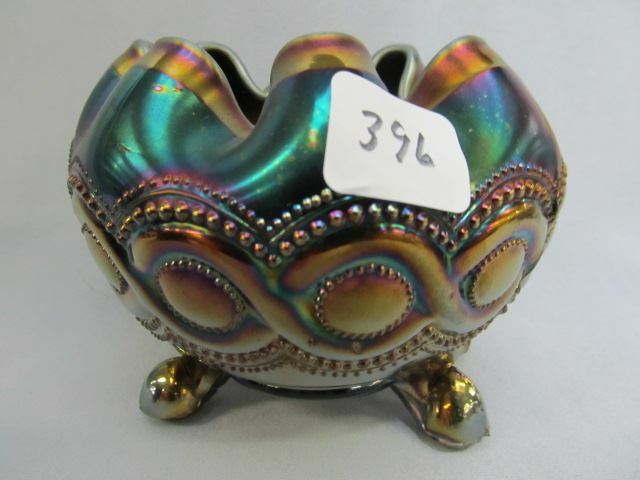 With many colors available, Beaded Cable has formed the basis of many a rosebowl collection. 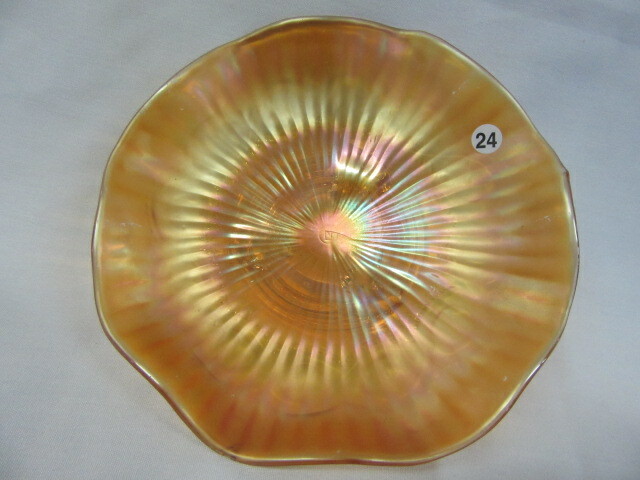 Most have a plain interior; some a rayed interior which are slightly more desirable. 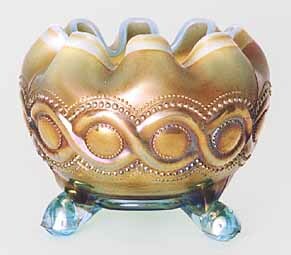 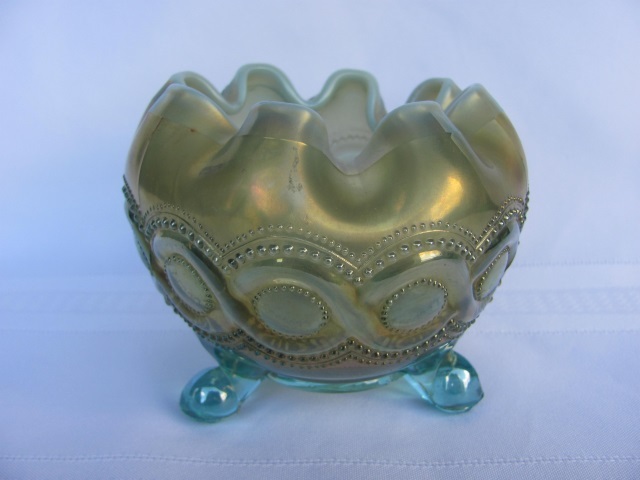 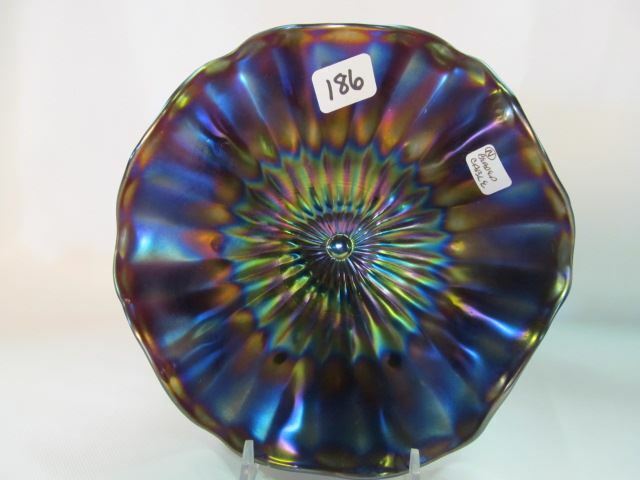 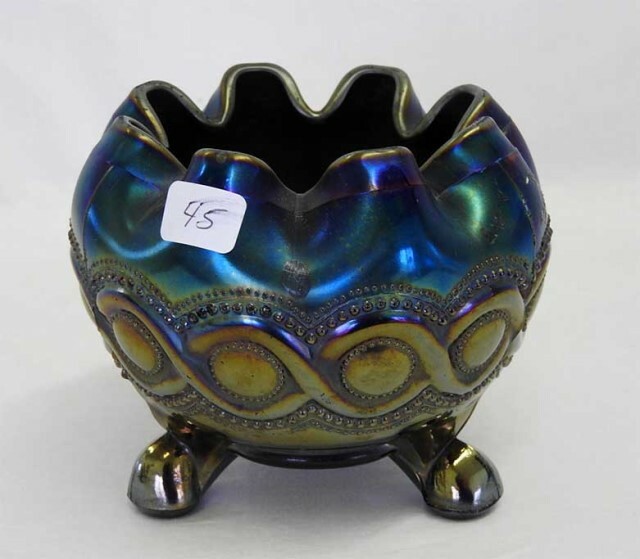 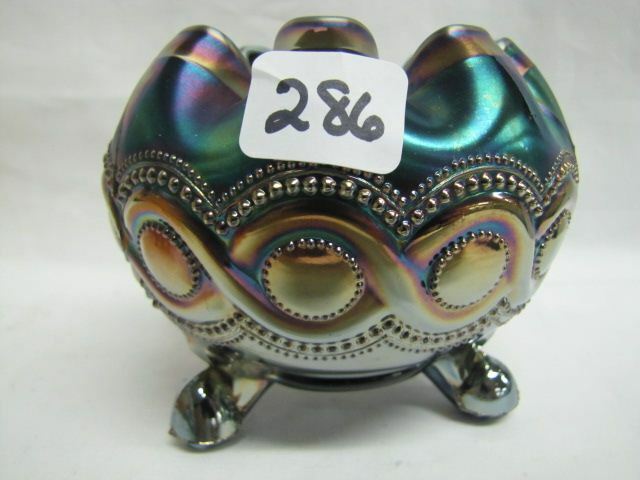 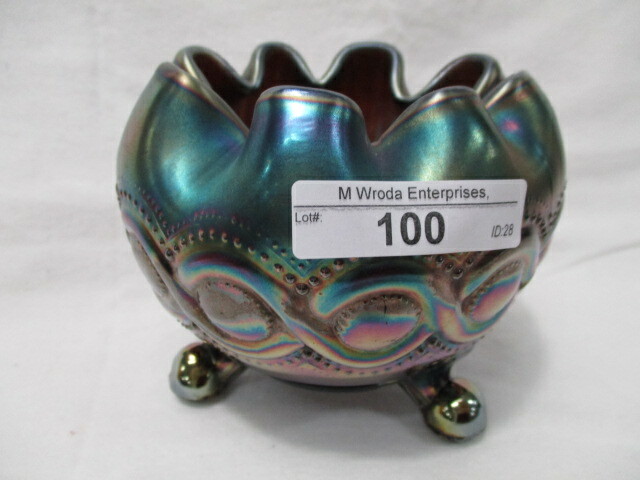 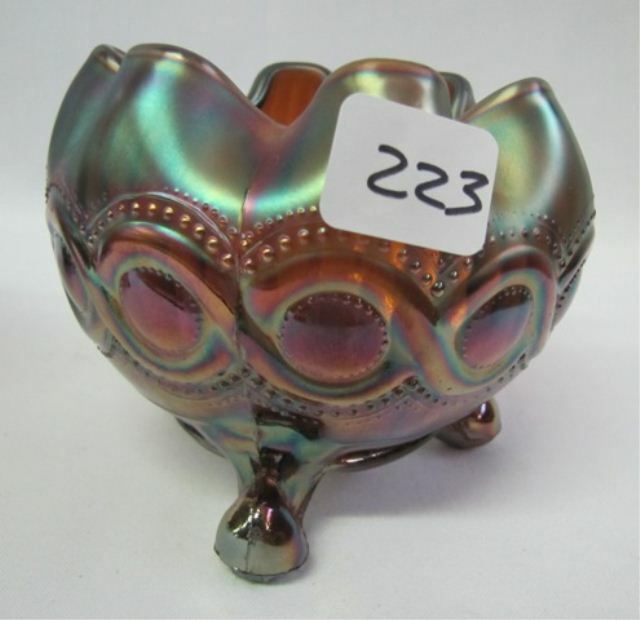 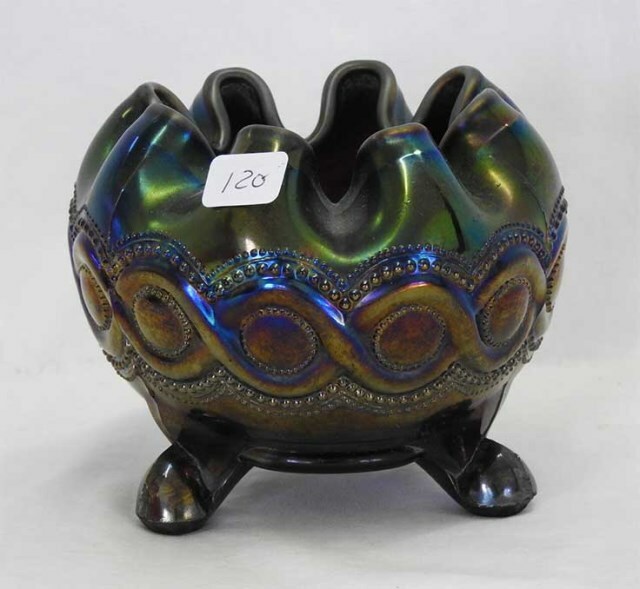 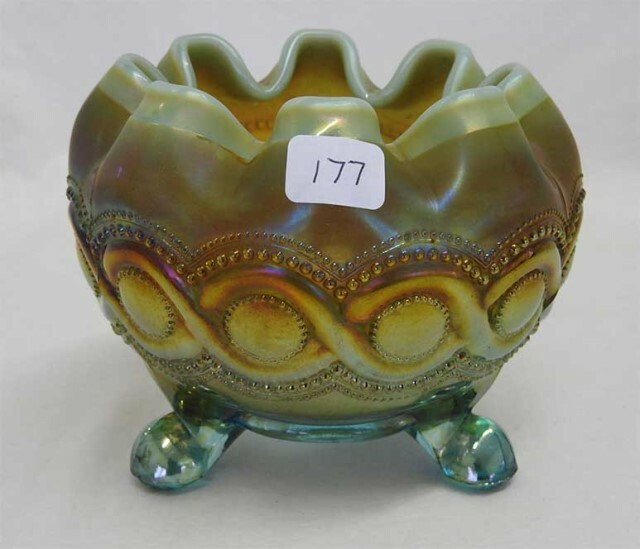 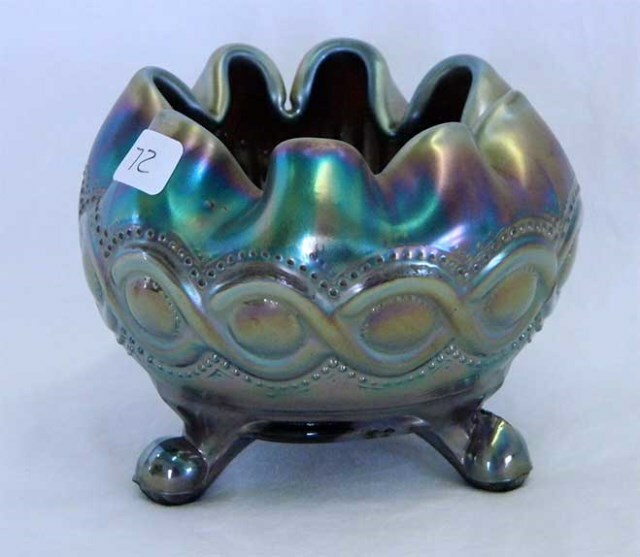 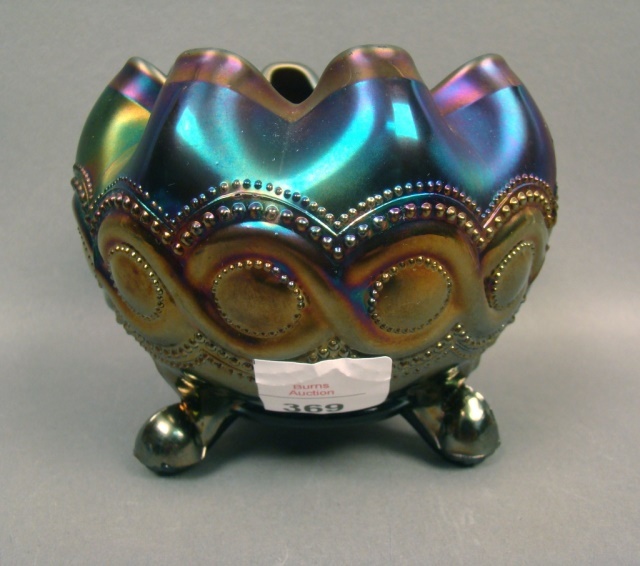 Aqua opal, such as shown above left, is a common color in this pattern. 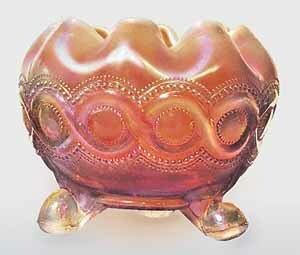 Peach opal, is in the center, always rare in Northwood, is especially rare here, with just two known. 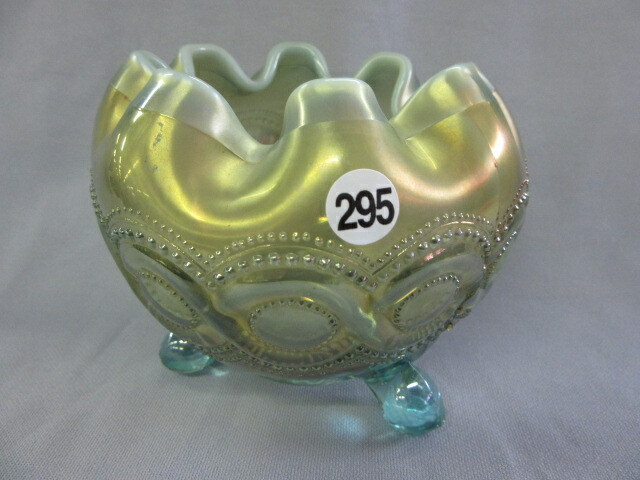 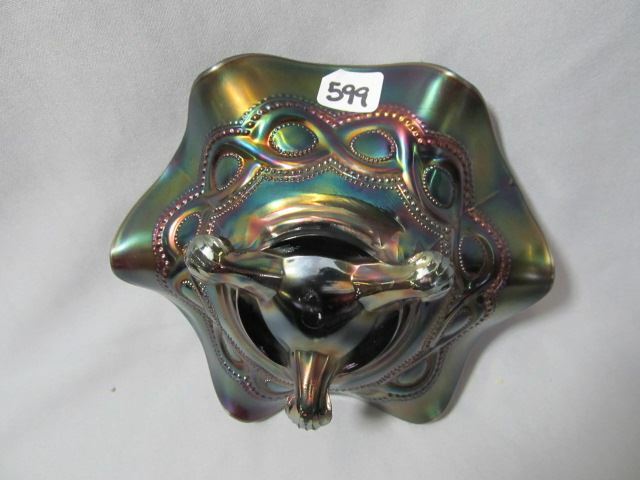 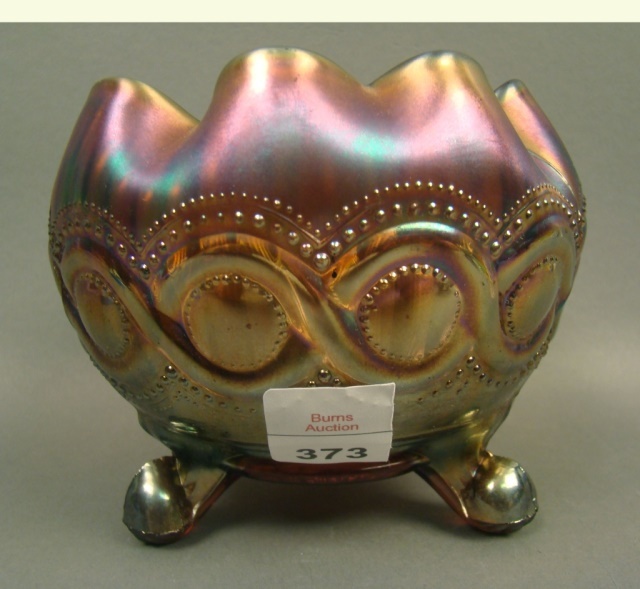 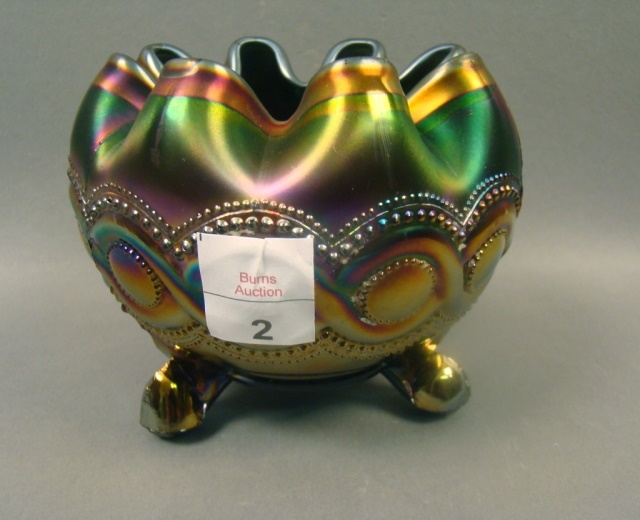 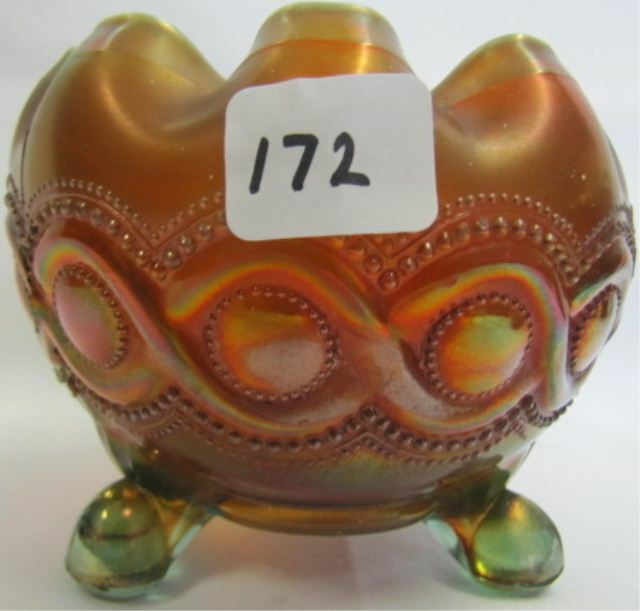 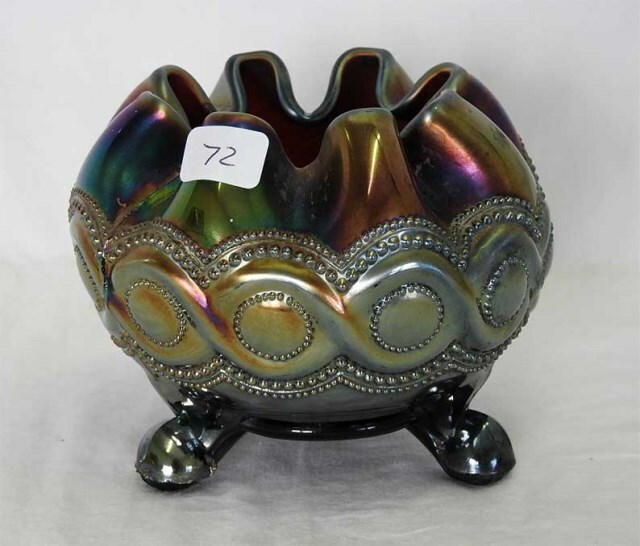 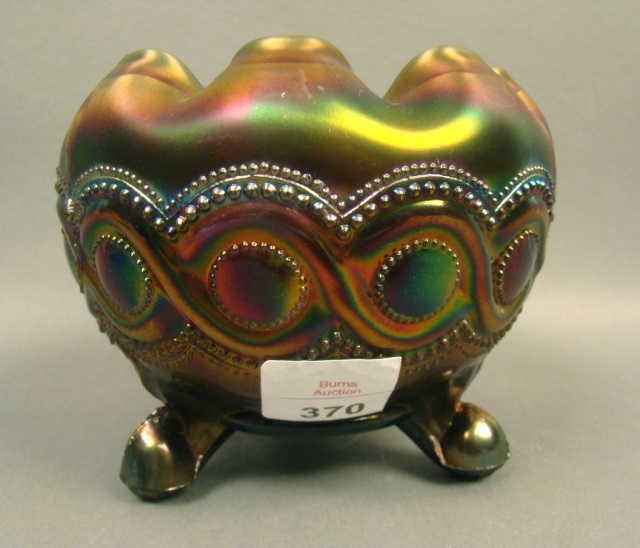 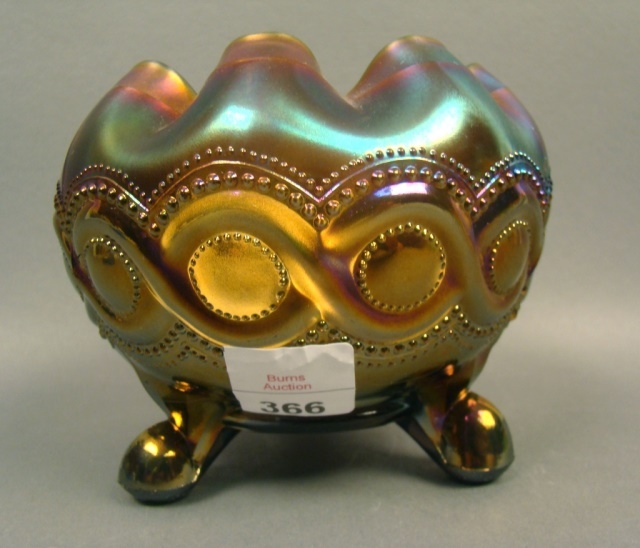 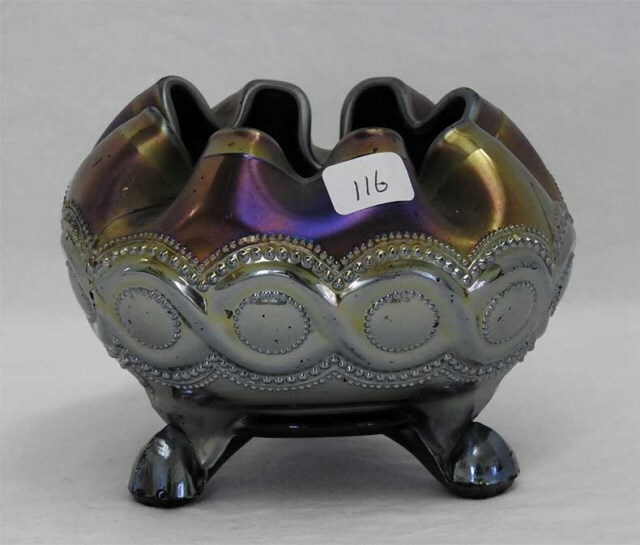 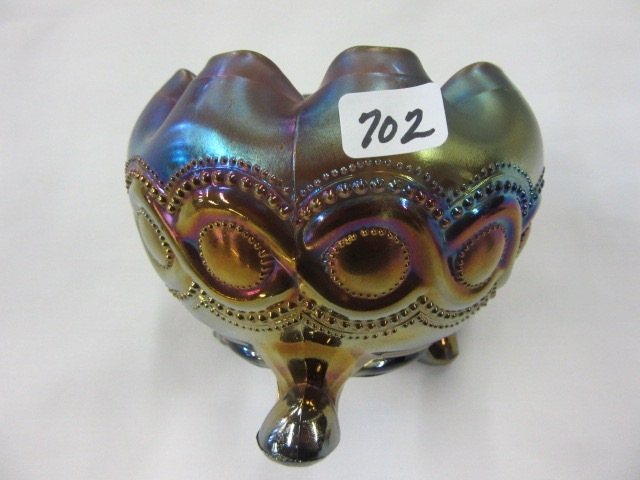 This example sold in 1997 for $8,500. 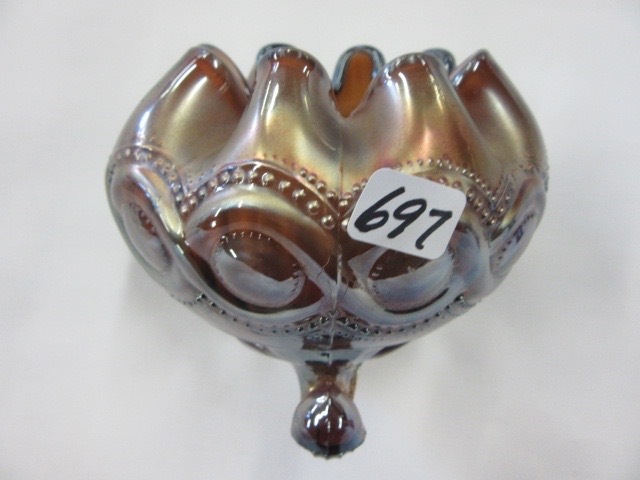 Above right is an unusual shape in Beaded Cable. 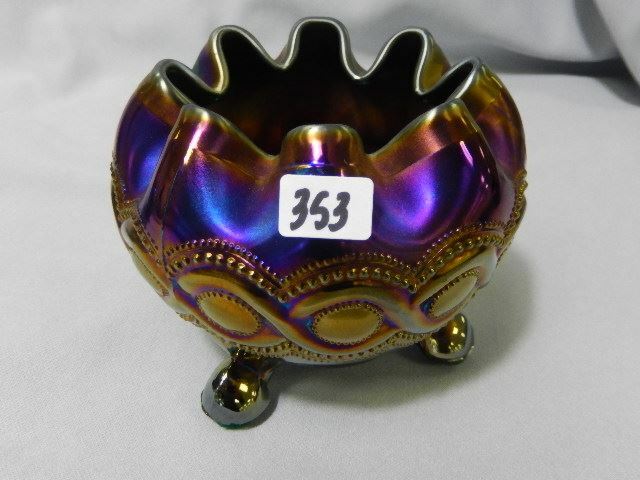 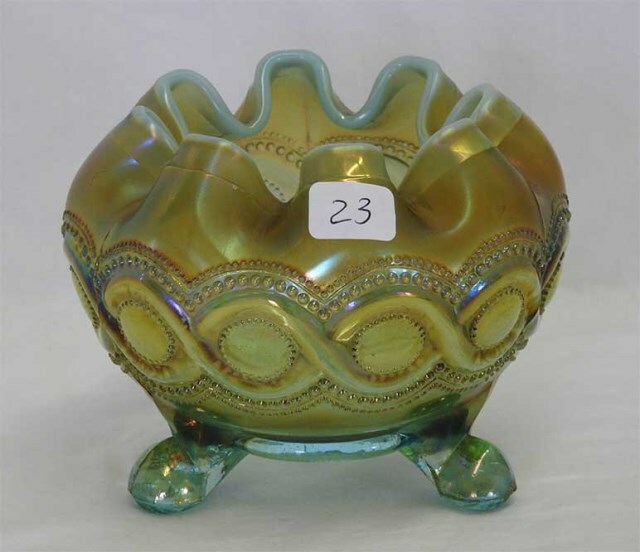 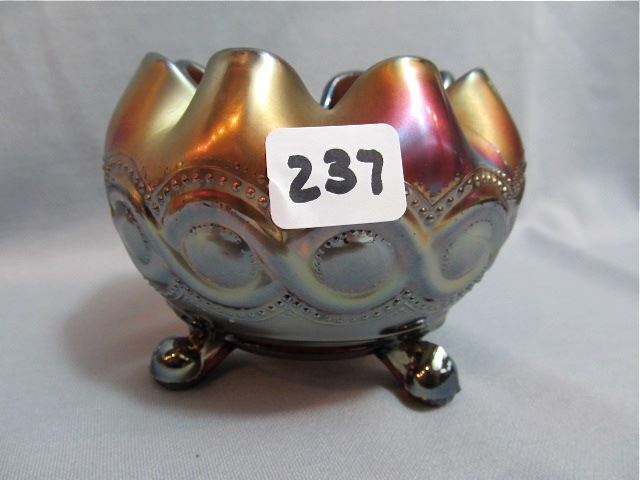 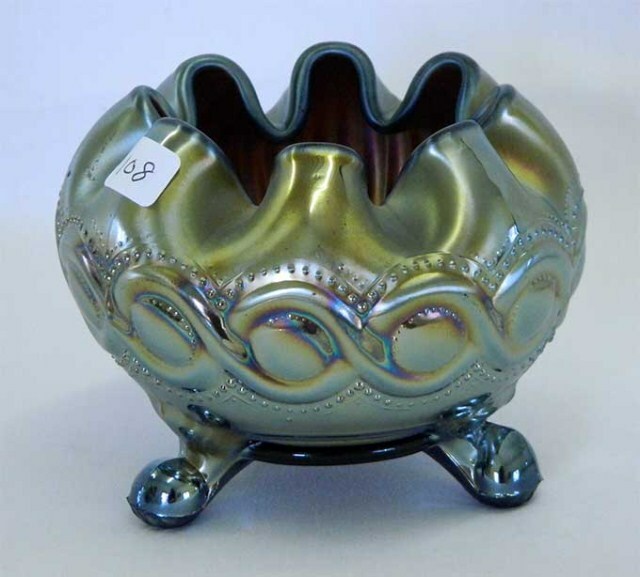 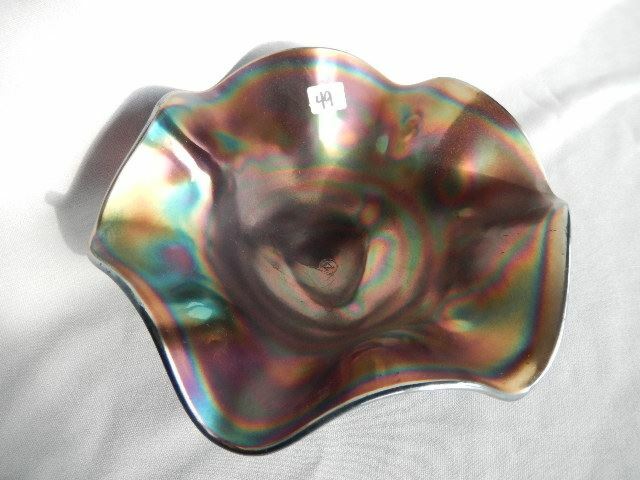 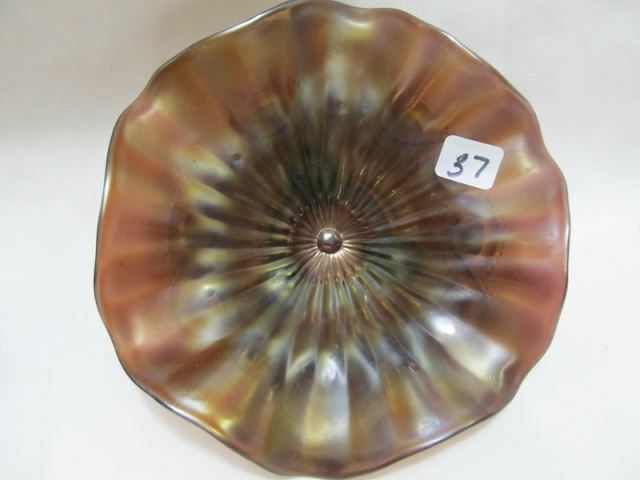 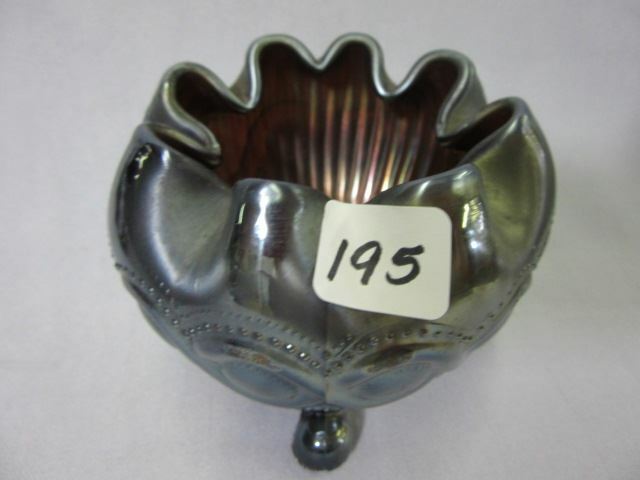 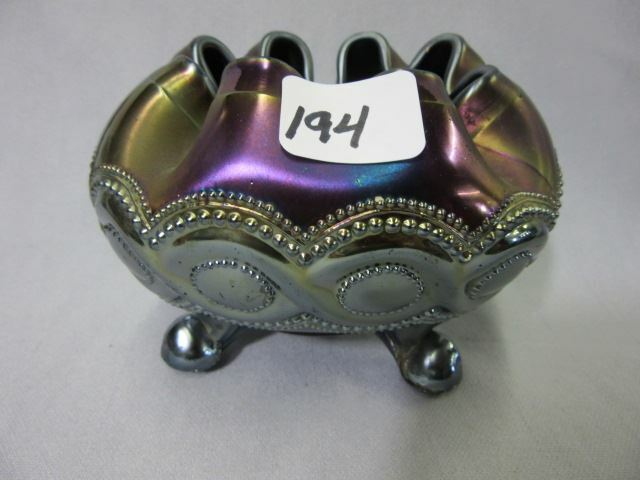 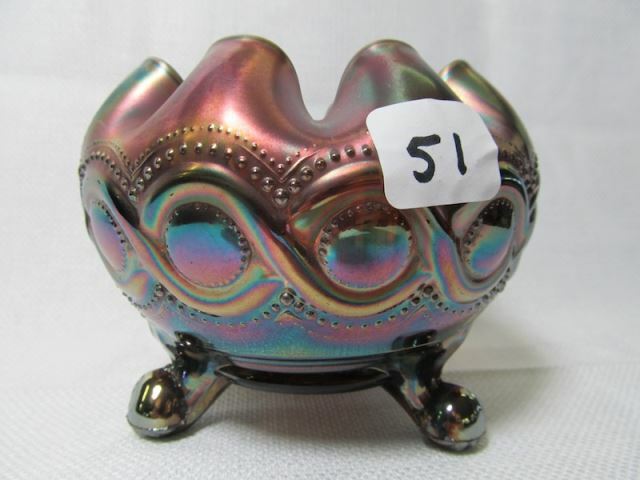 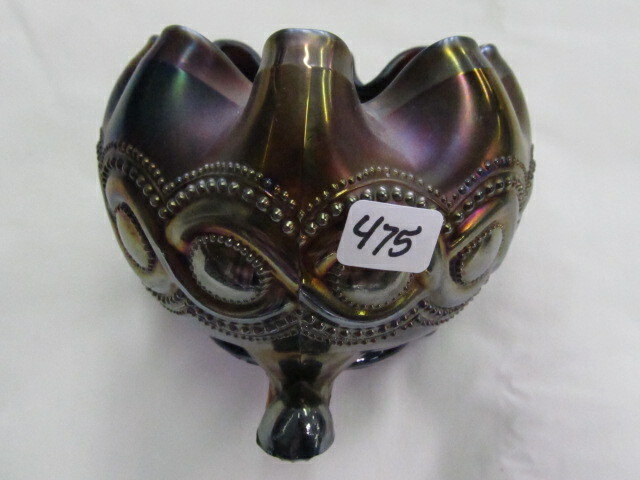 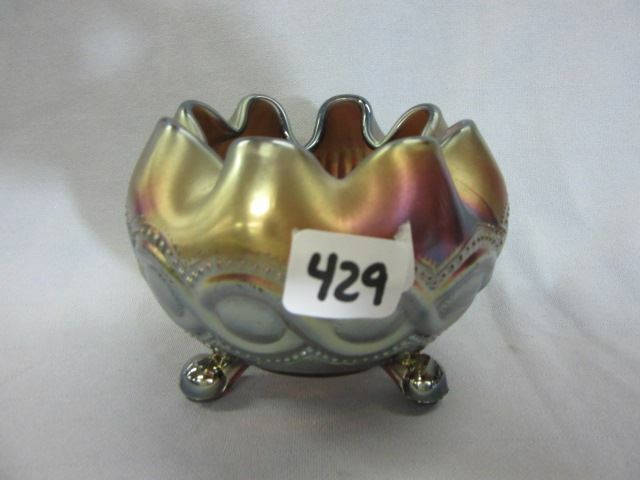 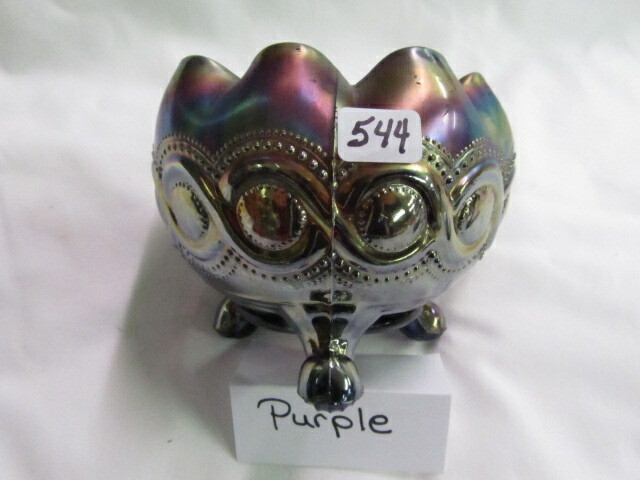 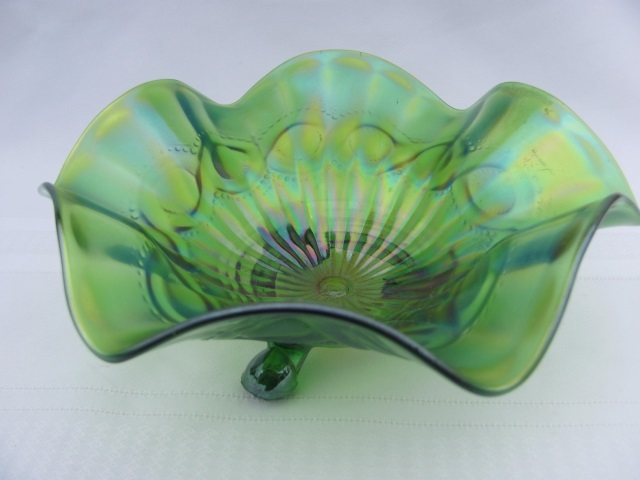 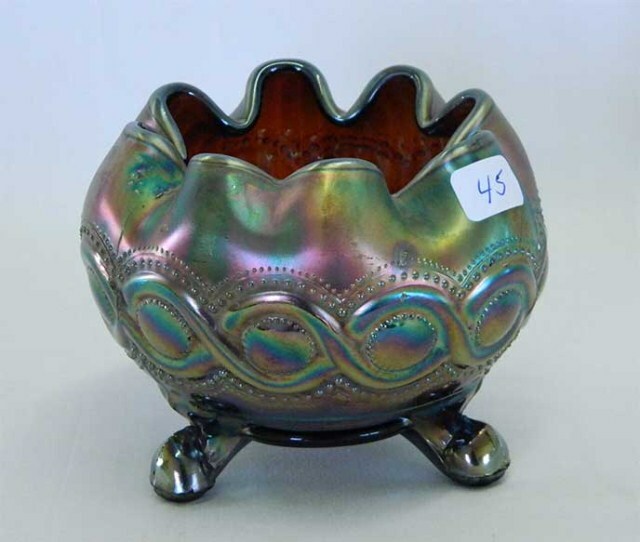 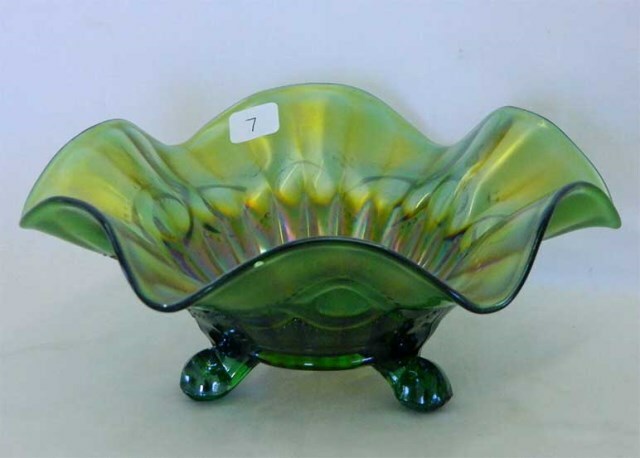 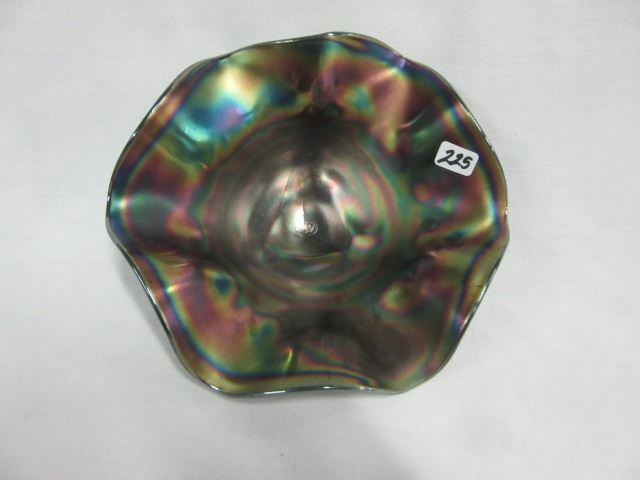 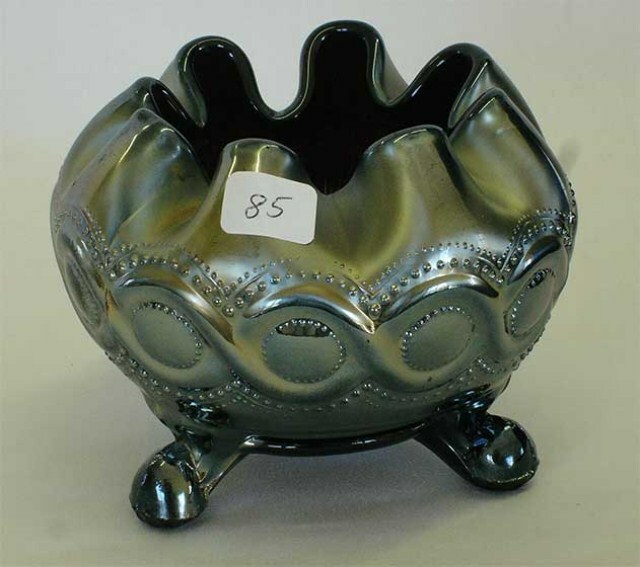 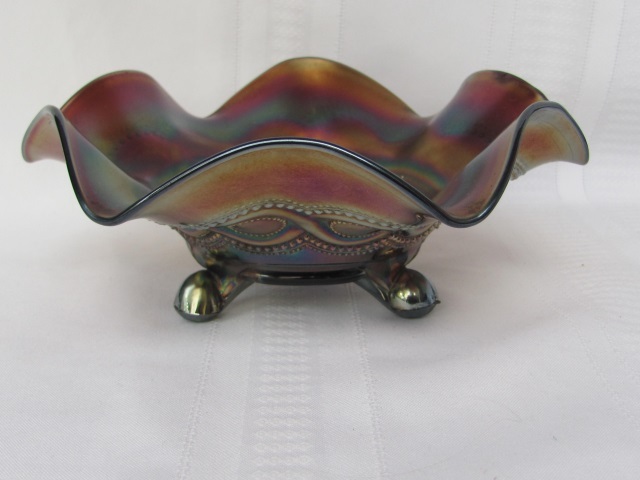 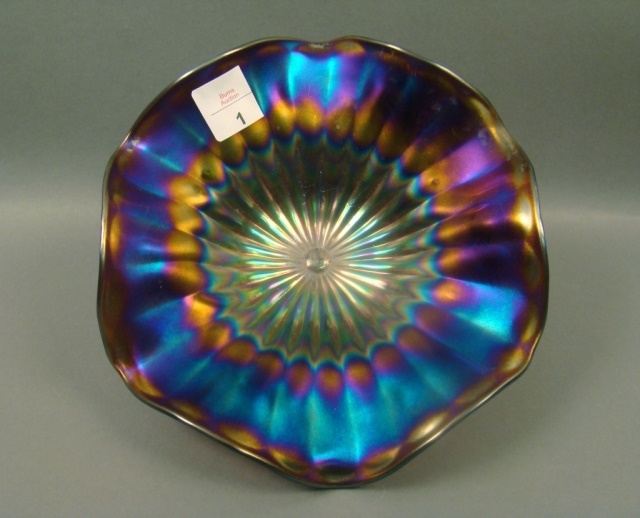 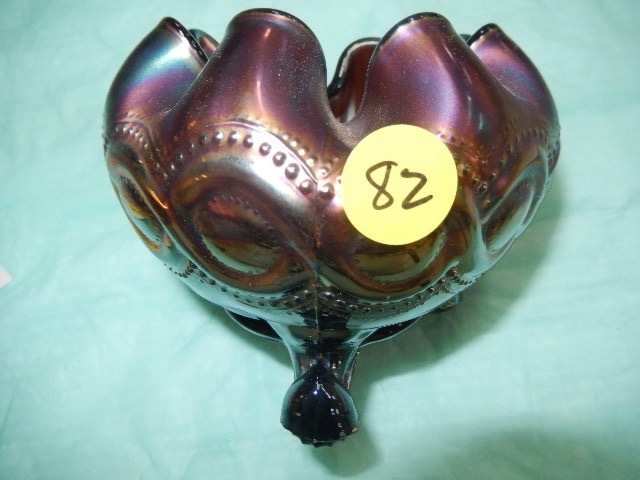 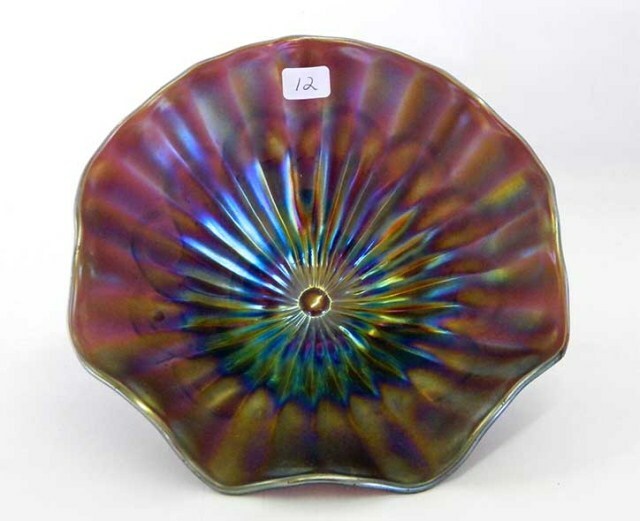 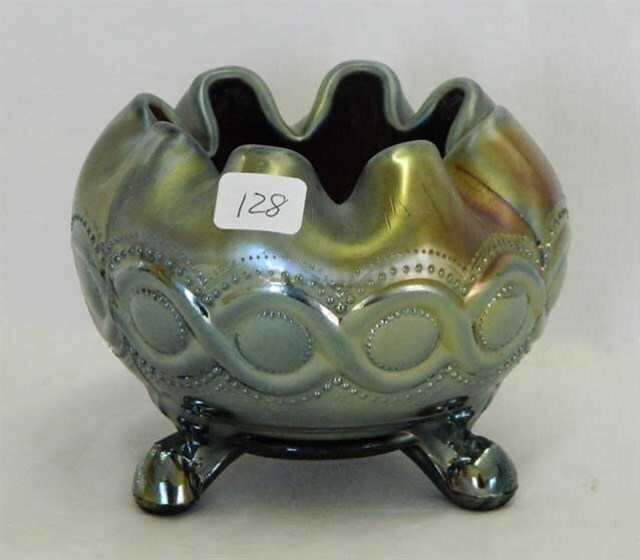 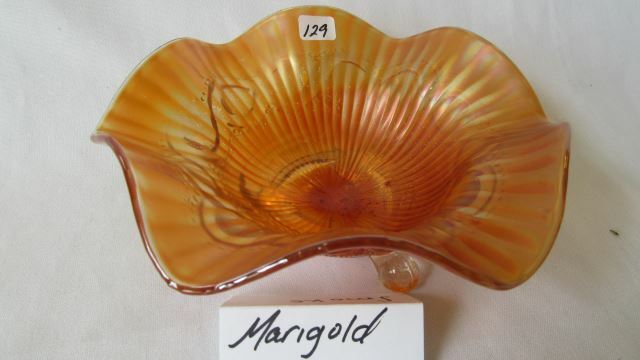 It's sort of half way between a candy dish and a rosebowl. 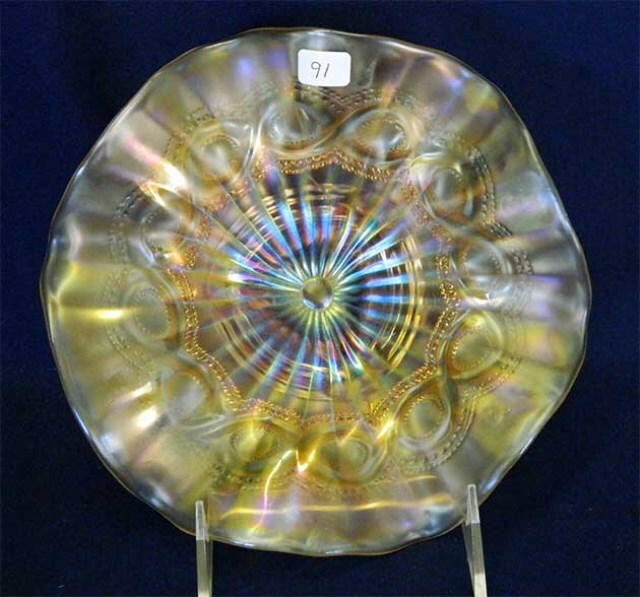 It sold on eBay in 2005 for $86.